Fast-moving consumer goods (FMCG) sales in convenience stores are rising rapidly, registering almost twice the growth this year. 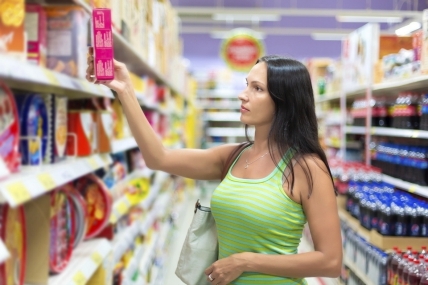 A study conducted by Kantar Worldpanel, the world leader in consumer knowledge and insights based on consumer panels, shows a 45% increase in convenience store purchases from January 2014 to January 2015. In the said study, Kantar Worldpanel tracked the shopping behaviour of 3,000 Filipino homes in urban and rural areas across the country. Findings show that from 16.1% in 2014, 18.5% homes are now buying in convenience stores with one to two check-out counters and are operational 24 hours a day like 7-Eleven, Mini Stop and Family Mart. This increase in number of customers translates to an additional 566,991 families buying goods from convenience stores. The market share of convenience stores has risen to 0.3% from 0.2% in 2014, registering the highest growth compared to traditional (+2% growth) and modern trade channels (-2%). To add to this, sales in 38 out of 52 FMCG categories grew in convenience stores, and this cuts across all 4 megasectors, namely food, beverage, personal care, and household care. Moreover, bulk of convenience store FMCG sales is still attributed to food (59.3%), followed by beverages (23.8%), and personal care (11.3%). While Filipinos spend most for food purchases, the personal care category experienced the fastest growth at 2.5%. Based on value sales or absolute peso sales recorded by Kantar Worldpanel, 8 out of the top 10 selling FMCG categories in convenience stores are food. The study further shows that Filipinos’ Top 4 food purchases remain the same with Ice Cream, Total Milk, Snacks, and Alcoholic Beverages. While new items have emerged in the list like diaper, water, and fabric cleaners, respondents in Kantar Worldpanel’s study dropped coffee and hair care products from their priority list this year. Kantar Worldpanel notes that majority of convenience store buyers are from the NCR, South Luzon, and Mindanao, and they hail from Class ABC and E urban households that are typically comprised of older homes with residents aged 13 and above. Among all the regions, NCR has the most buyers, with 34% of homes purchasing goods from convenience stores. However, the biggest spenders are found to be living in Mindanao, as buyers here shop in convenience stores nine (9) times a year compared to NCR residents who purchase from convenience stores only 5 times a year. “Based on our latest research, we at Kantar Worldpanel anticipate this trend in the convenience store segment to persist in the advent of fast-paced and more demanding lifestyles of consumers.” Lourdes Deocareza, New Business Development Head for Kantar Worldpanel, said.